Both Reserved Seating and General Admission tickets are available. Or buy General Admission tickets M-F at Dover Automotive. Rehearsals have started and are being held Sunday and Wednesday evenings. Find the cast list here. This program is supported in part by a grant from the Dover Cultural Council, a local agency which is supported by the Massachusetts Cultural Council, a state agency. The mission of the Dover Foundation is to foster community spirit, neighborliness, cooperation, friendships and service within the town of Dover. The Dover Foundation is an independent, non-profit, 501-C3, all volunteer organization that has served the Dover community since 1947. 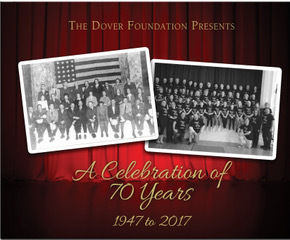 The Foundation is most known for outstanding theatrical performances held in Dover, featuring Dover and surrounding community residents. In June of each year, scholarship awards are granted to Dover students, and community grants are made to the Dover Community. More than 500 Dover high school seniors have received over $600,000 in scholarship grants. Many cross generational projects have also benefitted from its generous support, including the Channing Pond skating rink, and tennis and summer playground programs (1950s-1960s); Dover Choral Society, Dover Dig, and Boy Scout cabin rebuilding (1970s); new stage curtains for the Dover Town House (1981); auditorium lighting for the high school (1993); Dover Music Festival, sound systems at the high school auditorium/theater, and Dover athletic programs (2000-2010s). 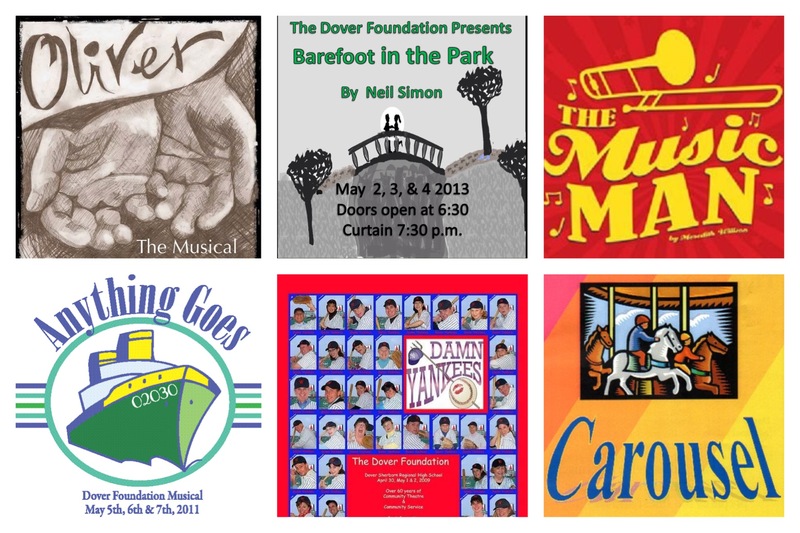 We thank the Dover community for their support and look forward to many more years of great theater and community service. Scholarship applications are being accepted for 2019, now through May 1st. Please visit our Scholarships Page to download the application forms. Funding applications are being accepted for 2019, now through May 1st. Please click here to download this year's Funding Request form. This 200 page book is a wonderful collection of photos and information celebrating the people, the shows, the community spirit, and the ways the foundation has given back to Dover. Please click here or on the image below to download a form to order this book, or send an email to info@thedoverfoundation.org to order a copy.